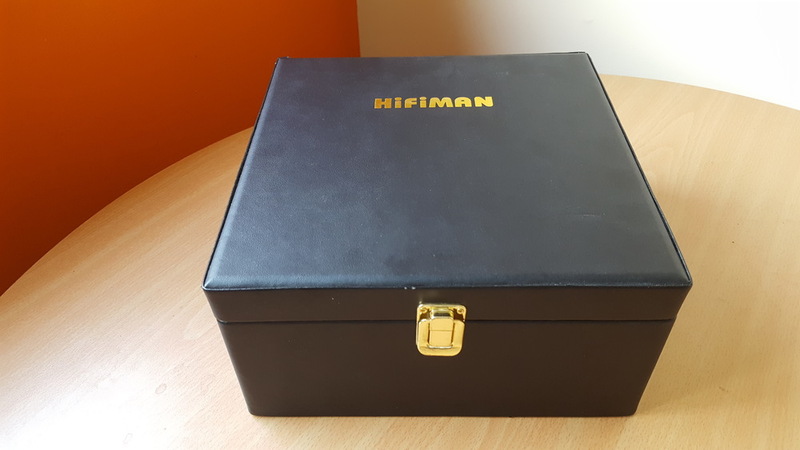 To some, it may seem pointless to do a review of the Hifiman HE-500 in June of 2016, years after it was phased out in favour of their new product line – specifically the HE-560. However, I feel that this can be a useful guide for those looking to pick up one on the used market, as I did. 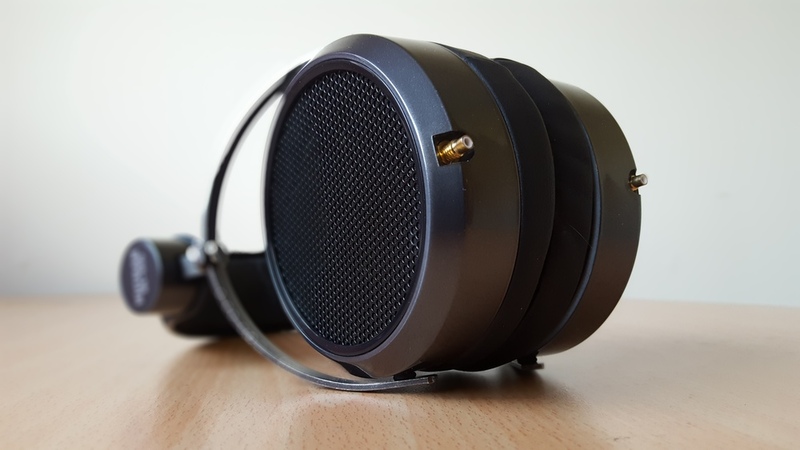 My previous experience with a Hifiman product was in January this year when I bought myself a HE-400i and it was my first set of planar magnetic headphones. I’ve since sold them and moved on to other cans, but I missed the speed that it had. With that in mind, and the hopes of finding a more neutral pair of headphones, I picked up a HE-500. After my time with the HE-400i, the HE-500 simply looked like a bulkier version of it in dark grey instead of black. 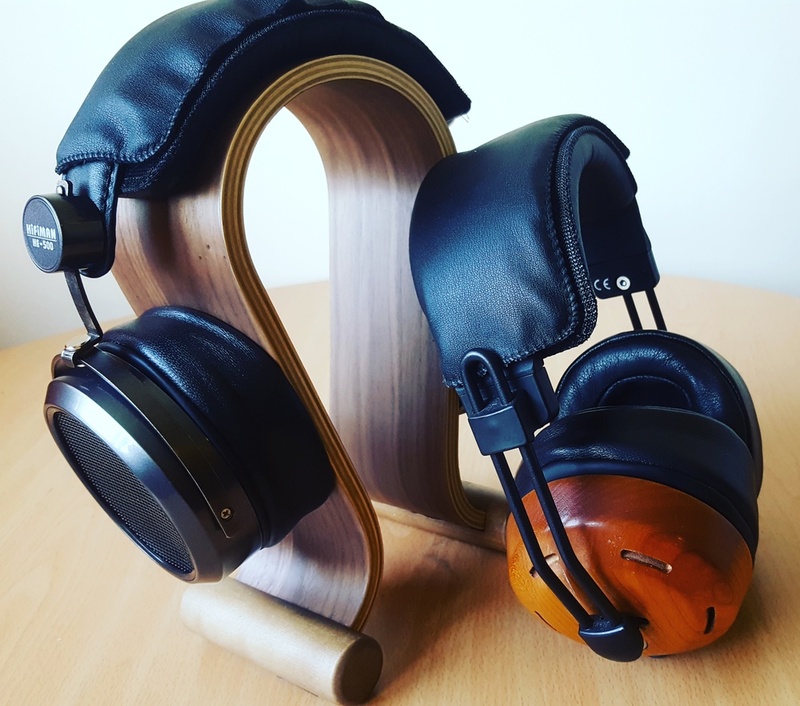 The HE-400i used plastic materials to lend to a lightweight build, but the HE-500 utilises sturdy and thick metal in places where the newer iterations have a thin piece instead. The adjustment does not use any form of incremental markings or place holders, it smoothly adjusts and holds in place wherever you choose to stop. 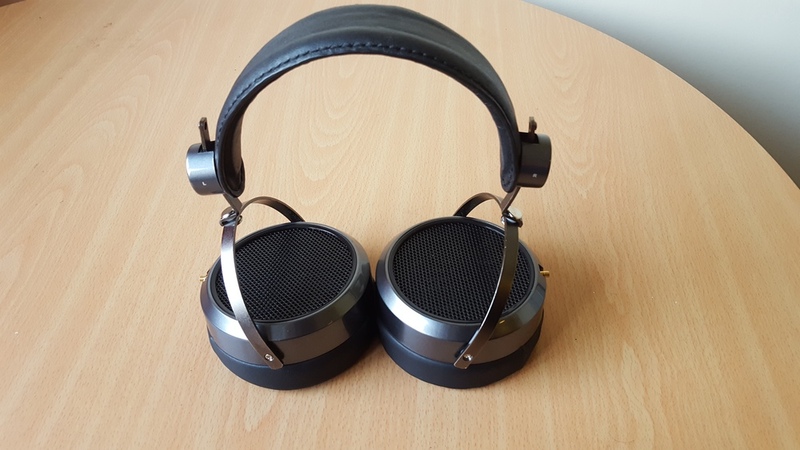 As far as headphones go, this is built like a tank – which has its advantages and disadvantages. One major disadvantage is the weight. I do not have exact measurements, but the HE-500 falls slightly north of a full pound of weight. It is even heavier than my ZMF Omni (one of the lighter wood configurations, cherry) and I have definitely found it cumbersome at times. Documented mod guides exist to alleviate this issue, but I do not want to undertake them myself. A major one involves replacing the headband with the one the HE-400i uses, which is an aluminium chassis with a light and thin headband. The HE-500 is, again, from a time before this design became preferred by the company. What you have here is a thick leather headband with metal inside and slight padding. I’m, simply put, glad that they did away with this design since. It feels anachronistic now, at the time of writing, to complain about the screw-on proprietary connectors that Hifiman used to use and the ones that are present on the HE-500. They have since switched to dual 2.5mm connectors, such as the one my HE-400i used. I can see why people consistently complained about them for years, bringing about the change. At one point, one slightly unscrewed itself and the sound began skipping out on the channel – leading me to believe the wire itself might have been faulty. It’s easy to believe so because the wire is a silver cable that does not lend much to confidence in terms of build quality. I used it for amp comparisons as my Schiit Magni 2 does not have a balanced output like my Cavalli Liquid Carbon, but I avoid it otherwise in favour of a balanced cable. I took issue with the default cable on the HE-400i as well, finding it too short and rigid – prone to excessively fast wear and tear according to other owners. With both headphones, it is better to seek out sturdier third-party options. The HE-500 comes with two sets of earpads, one pleather and one velour, and both are quite mediocre. This is another improvement Hifiman has made since then, introducing the FocusPads and FocusPad A’s (the one on the HE-400i) that are more comfortable. 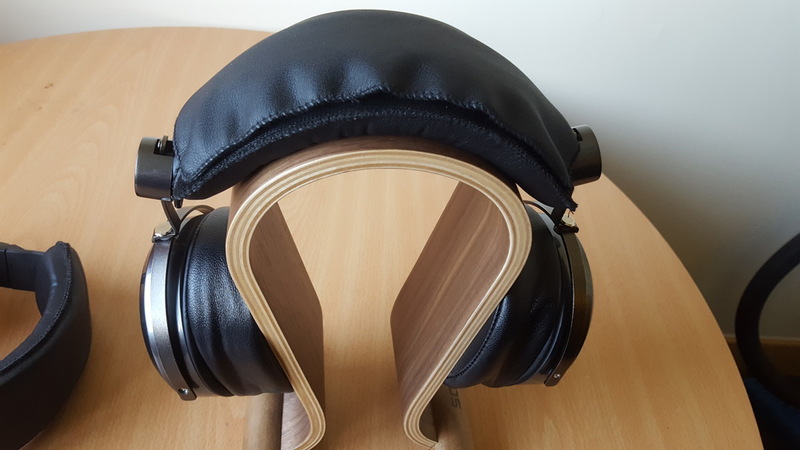 At first, I did not want to order a pair of FocusPads A’s from China and tried other options – specifically a pair of ZMF lambskin earpads that I had lying around unused as I prefer thecowskin on my Omni. 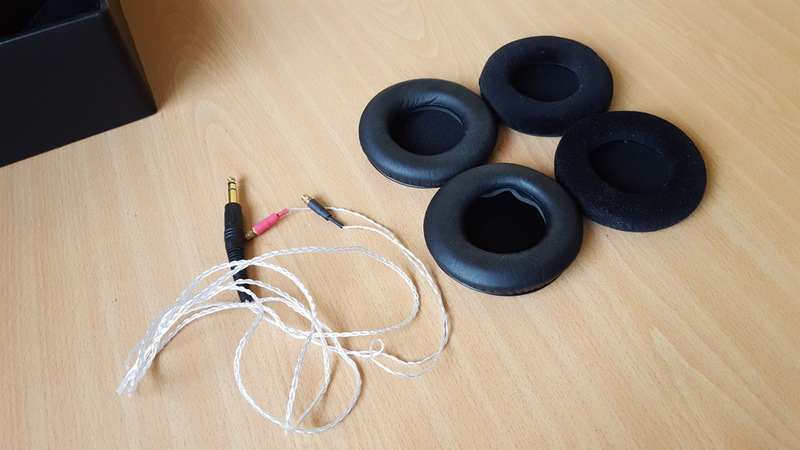 Anyone familiar with Hifiman’s earpads will tell you how a ring exists inside them that must be removed and then inserted into any other earpads you want to use in order to mount them onto their products. It is quite a delicate process because the rings can indeed break if handled harshly, leading to earpads not being able to be put on. This is something that has not changed in Hifiman’s design. My Frankenstein HE-500 consisted of ZMF lambskin earpads with the ZMF Pilot Pad thrown on top of the headband for good measure. I reckoned that, with this much padding, comfort would be greatly increased. However, the thickness of the pads put a lot of pressure on my face when coupled with the, by default reasonable, clamp of the headphones. It was a fatiguing feeling so I switched back to the velour and ordered a pair of FocusPad A’s in the meantime. I was pleased on their arrival, they really add to the comfort while maintaining the sound signature and transients the headphones are known for. The lambskin introduced more bass into the mix, but I have other options for that, like the Omni or the Fostex TH-X00. What I wanted was what the HE-500 provided. You might be wondering at this point why I would bother with these headphones, given all the complaints above about its comfort and build. The answer is simple: the sound quality. 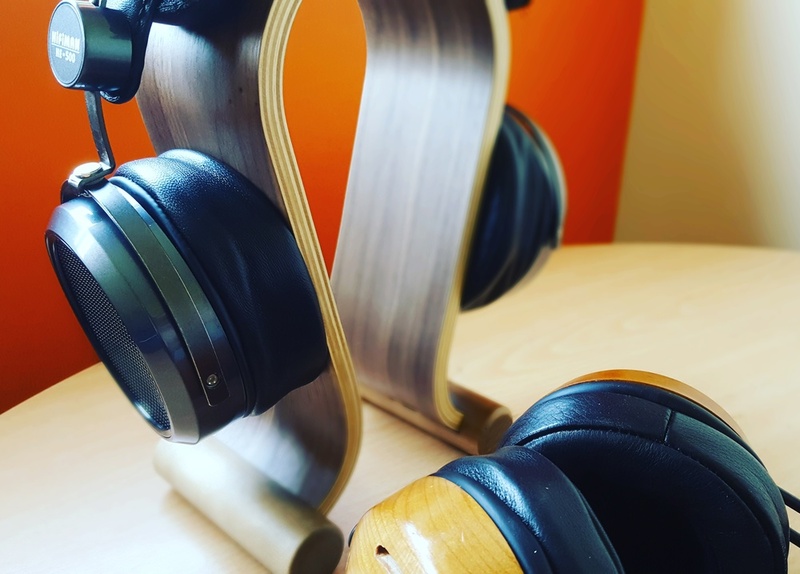 I have surrounded myself with “fun” tuned headphones such as the Omni, TH-X00, Shozy Zero and the Meze 99 Classic, and really wanted something that is somewhat neutral in presentation. I won’t sit here and tell you that the HE-500 is truly neutral, but it is a lot more than other options I have. As an owner of the Sennheiser HD600 in the past, I would actually compare these to them. I previously thought that the HE-400i was a planar magnetic version of the HD600, but the HE-500 is closer and superior in some ways to the popular Sennheiser cans. The bass on the HE-500 does not sound bumped at all, as even the HE-400i did. It is very clean and articulate and does not intrude outside of where it should be. It’s a very impressive sound, but not what a basshead would want as there is a distinct lack of mid-bass. It also extends fairly low, lower than the HE-400i and definitely the HD600 – both of which had rolled off bass extension. This does not mean that the HE-500 goes into TH-X00 levels, but there is a sense of presence and control that is very pleasing for several genres. Where the TH-X00 excels with EDM and electronic music, the HE-500 does extremely well with more “organic” genres such as rock, metal, classical/orchestral music and classic rock. The bass frequencies leads to the bass guitar being clear and present in songs but never drowning out the rest of the frequencies. It is also very, very fast – something I love about both the Hifiman products I have used to this point. I don’t have the HE-400i on hand to compare, but it does seem that the HE-500 is more immediate in its bass response. It simply does not linger or overstay its welcome, the decay is really fast. The mids are another reason I will hold on to these headphones despite any comfort issues I may have over long periods of listening. They have a very musical tone to them and are slightly warm, but are not forwarded in any sense. They sound natural but sweet. Vocals and vocal layering shine on the HE-500 as do electric guitars. However, I found the presentation of acoustic guitars to be less realistic than the Omni, but still very clear and resonant nonetheless. The mids, and the headphone overall, have immediacy and very low decay – which is very useful for genres where analytical listening is necessary such as jazz. Even the HE-400i, comparatively, had more of a mid-bass bleed into the mids – and I thought those sounded remarkably stark and clean at the time. If anyone recommends the HE-500 to you, it will definitely be because of the mids. The treble is at a point where it sounds detailed but never sibilant. It is something in between the veil of the HD600 and the far extension of the HE-400i, which could at times be sibilant depending on song choice. The HE-500’s treble extension breathes life into classic rock recordings, which can easily be bogged down by roll-off due to their older production methods and large dynamic range, and thus I heavily prefer it for the genre over the Omni, TH-X00 and HE-400i. Led Zeppelin are a band whose songs have been at times problematic for several pairs of headphones I have owned because their overall warmth can dampen the bite of Jimmy Page’s guitar work. Where the TH-X00 heavily favoured the rhythm section and bumped it up in the mix where all else felt drowned out, the HE-500 eagerly displays all the colour and resolution that is necessary for listening to the band in incredible balance. This is the most analytical pair of headphones in my possession right now and one that my Schiit Gungnir benefits from the most due to the detail retrieval. Of course, it might pale in comparison to the likes of the Sennheiser HD800, which I have not heard at length, but it fits right into my needs. I challenge you to find anyone who would classify the sound of the HE-500 as sterile or cold. It walks the tightrope admirably between resolution and overly “fun” warmth. The soundstage trumps both the HD600 and the HE-400i quite a bit. I expected it to be similar to the latter, but it is far wider. Upon careful consideration, I’d actually place this second in terms of soundstage in full-sized headphones I have owned – right after the Beyerdynamic DT990. The wide soundstage complements the fast nature of the headphones as swirling instrumentation in songs travel far and wide without any sense of lag or inaccuracy. While the Schiit Magni 2 is more than enough to power these headphones, the Cavalli Liquid Carbon pairing is now my favourite of all time – with the previous favourite being the HE-400i with the Schiit Asgard 2. This is because of the amp’s slightly warm but still detailed nature, adding to the sweetness of the HE-500 quite a bit. The Magni 2, which is transparent, shows the headphone’s true sound and it is still warm and inviting, but the Liquid Carbon just goes that extra step to my ears. To sum up: not portable, need adequate amping as they are planar after all. If you have good neck strength, these could easily be on your list of cans to try out. Sadly, they are indeed discontinued. 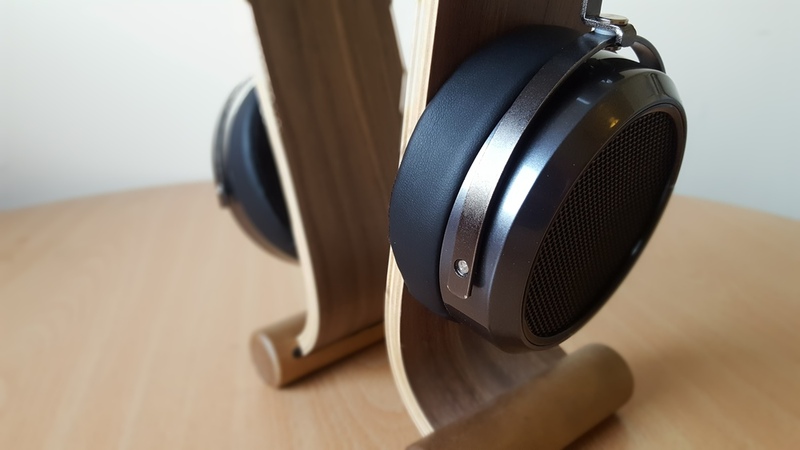 It is likely that very few people will even dare to call these a pair of beautiful cans, or even largely comfortable, but the sonic benefits far outweigh the disadvantages. What you ultimately have here is an incredibly balanced but tonally rich and lush pair of headphones that does not lack in detail – coupled with the best transient speed planar magnets can offer. I would pick it over its younger brother, the HE-400i, any day due to its balanced and natural sounding strength that is well within my comfort zone for treble extension. The soundstage and separation of the HE-500 is very apparent from the first notes that ring out in this song, as the melody is played on electric piano and guitars panned on the left and right. The bass guitar work is clear, with a good amount of extension into the bass region, but the vocals take the centre-stage of the song along with the amazing synth-riff that repeats. The beat is punchy but not overly bassy and the quick string sections and stabs have power behind them due to the speed of the headphones. The rock genre in general does extremely well with the HE-500 and this song showcases such strength. Steven Tyler’s vocal representation on the headphones capture the body and emotional power, flanked by the incredible dual-channel guitar work that also ring out due to the strong mids. 80s synth and beats with speed. Beyond that, the shimmering backing synth and the vocals sound clear and present. However, the synth bass sounds a bit more rolled off compared to the likes of the TH-X00 – which made the song a more bassy affair at the sacrifice of vocal and synth pad clarity. The HE-500 does very well to capture the mystique in Sirius’ instrumentation in perfect balance. Quite often with other headphones, I’d find that some aspect would drown out another and lead to a less pleasing listen overall. That is not the case with the HE-500 at all. The soundstage lets each note breathe well and the speed lets nothing linger in the mix. The vocals sound right at home coupled with the shimmering acoustic guitar work that chimes in effortlessly through the track. For the first time to my ears, this song feels like a live recording rather than a studio effort. There is a very wholesome quality to it all. King’s guitarLucille rings out in the mix as should be, but the backing track is clear too. The melancholy yet funky bass work is set up to ring through the song and give it a sense of pacing and body. As the song progresses, more guitar instrumentation and string instrumentation builds up but is never muddy on the HE-500. The fact that King’s hurt vocal rings out clearly over all this detail is astonishing and a superb achievement on the part of these headphones. This track’s grandiose production is aided by the HE-500. The large but controlled soundstage really brings out all the musical intricacies that are going on that would seem hectic to a less resolute headphone. Very fun listen that helped me hear details I had missed before. Clarity, warmth and balance are three words I’d give to this song’s representation on the HE-500. It benefits vastly from the soundstage too, as the percussion jumps from end to end and the instruments take up their places in the mix – with Tony Iommi’s melodious guitar soloing on the right channel and the piano on the left. Very impressive listen. The piano in this demure track stands out better than I have heard on my other headphones. The vast separation of the two tracks of acoustic guitars is a joy to listen to on the HE-500. The sense of space in the mix really comes through with this much room to grow that the headphones provide. The vocals sound ethereal and full-bodied simultaneously thanks to the excellent mids that the HE-500 possesses. You can also clearly hear the difference in guitar effects on the two guitar tracks while the gently shimmering synth sequencer continues to add atmosphere to the track. As the song picks up, every instrument and vocal note is presented in a balanced manner over a thundering drum track. The balance of the two vocal lines, the male and the female, are also clear and present where on some other headphones the latter would take priority. The kick drum in the intro moves faster than on other headphones that I’ve heard, but not necessarily as loud. The bass saw-synth riff does not sound as pleasing as it does on the TH-X00 due to its immense bass extension, but the surrounding instrumentation of the song overall is superior. Little details like extra percussion from the separate channels and the electric guitar in the second verse are picked out very well by the HE-500. Donald Glover’s higher pitched backing vocal in the chorus is also clearer than I’ve heard before. Gentle rock/vocal songs such as this are magnificent on the HE-500 due to its controlled resolution. The delicate and emotional guitars and vocals go hand in hand over a clear and subdued bassline and gentle, brush-tipped snare hits. The faint backing vocals singing “this world is only gonna break your heart” have more body to them than before. One of my favourite songs and I have not heard it better, to be honest. The dramatic string section creeps up to the listener with power and precision and the high notes retain the starkness they require to cut through the mix as a result of the fantastic yet comfortable treble extension on the part of the HE-500. This reverb-soaked track is easy to get wrong on different sound signatures because of varying frequencies being favoured over others. Thankfully, the HE-500 makes a statement with how it presents everything in a way that is both accurately balanced yet never boring with plenty of detail. The mood of this track is accentuated by the HE-500 due to how it handles the demure vocals and layering along with the impressive reverb effects in the production. The low end doesn’t sound as “club” like as on some other headphones, particularly the TH-X00, but there is clarity and body throughout the rest of the track’s mix. The acoustic guitar has a lot of body to it, but is not natural enough to go head-to-head with the ZMF Omni. However, it fits in better in the mix than the Omni because of its balanced presentation. A magical listen due to just how in sync everything is. A more detailed listen than the TH-X00 with respectable bass, but the Fostex just synergizes better with the rap genre in general. Despite that, the separation is again excellent and the verses’ musical transitions flow far more naturally than on the Fostex. The snare is also impactful, yet not sibilant at higher volume like the TH-X00. A song I re-visit with every new piece of gear and one I know as well as the back of my hand. A wonderful listen due to it playing to the HE-500’s strengths. Vocal separation is incredibly clear as is the high pitched synth in the back that adds to the atmosphere – of which the soundstage adds tonnes. The kick drum falls right into the realm of possibility for the sub-bass extension of the HE-500. Not the best pairing of song overall due to its reliance on mid-bass, but the chugging electric guitar and the vocals are benefitted by the strength of the mids. The backing vocal in the verses, singing “we’ll go all night long” repeatedly, sounds clearer than on the likes of the TH-X00. A stunning listen. Sublime vocal layering of Lana’s incredible studio voice flanked by so much instrumentation over a mournful marching funeral beat. The strings ebb and swell to their potential as the rather odd choice of samples of children shouting (and a scream in the intro) are clearer than I’ve ever heard before. Nothing is drowned out, no detail is lost - the only way you would get more detail out of this is with a more analytical audio chain at this point. As mentioned above in the review, bands like Led Zeppelin benefit a tonne from the HE-500’s balanced yet musical nature. The guitars ring out clearly along with the vocals as the rhythm section stands where it should – not drowning anything out like on some other headphones like the TH-X00. The amazing guitar work is present on both channels with detail and resolution. The power and precision of the HE-500 brings this track to life as the vocal soars over a lushly produced backing track. The Gungnir, Liquid Carbon and HE-500 truly highlight the “air” around the violin and other instruments due to the quality of production, mixing and mastering. All the balance I have been praising above again brings forth this song in a new and incredible way. You just know that the vocal layering and harmonisation is something to behold on the HE-500, especially in the famous bridge section. The delicate piano flourishes never get drowned out by anything else in the mix and the bell sound effects never lose any of their nuance. The thunderous and cinematic percussion maintains its body and impact while the marvellously separated string sections churn ahead to present the epic title track in full glory. Another mention must be given to the track A Lannister Always Pays His Debts, also by Djawadi, for just how incredible it sounds on the HE-500 for the same reasons as the title track.